This picture is of the Ritchey family taken about 1887-88, probably in Montague County, before Samuel Andrus Ritchey moved to Greer County, Texas (now Jackson County, Oklahoma). I have not identified everyone in it but here is what I recall: Back Row: Margaret Ann Richardson holding Susan Elizabeth Ritchey , Thomas Milton Ritchey , Samuel Andrus Ritchey, Martha Ann Sliger (his first wife), unknown, unknown; Middle Row: Joseph D. Ritchey (think this is him), might be his wife Catherine Elizabeth Wallace and baby Margaret Elizabeth Alice Ritchey, William Wilson Ritchey, Elizabeth Cauldwell; Front Row: think these are the two sons of Thomas Milton Ritchey and first wife Julia McGuire ? James Monroe Ritchey and Thomas Milton Ritchey, unknown, unknown, unknown, might be a daughter of Samuel and Martha Ritchey. There are two sisters of Samuel, Thomas and Joseph that I don?t believe are in this picture: Margaret A. Elizabeth Ritchey and Martha C. Ritchey. Husband of Gratia LNU and Charlotte Moore. Son of Adonijah Hotchkiss and Sylvia Seymour. Alex was the son of Enoch Spinks Kennedy and Emeline Williams. Addie was the daughter of Abner Brown and Clarkey Ann Seawell. Alfred was the son of James Alfred Richardson and Mary Ann Wood. Mishie was the daughter of Elias Moore and Mary Ann Garner. Husband of Mary Maness and Lucinda King. Son of Stephen Davis and Elizabeth Smith. [Front L-R] Baxter Davis, Sallie Yow Davis, Emily Davis Williamson, Ida Jane Davis Ray [Back L-R] George Davis, Stephen Davis, Sandy Davis and Mitchell Davis. Husband of Ruth Dawson and Luna Coble. 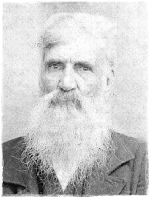 Son of Sampson Delaney Wallace and Missouri Hunsucker.